Why Did the DeLorean Motor Company Fail? What was the DeLorean Motor Company? 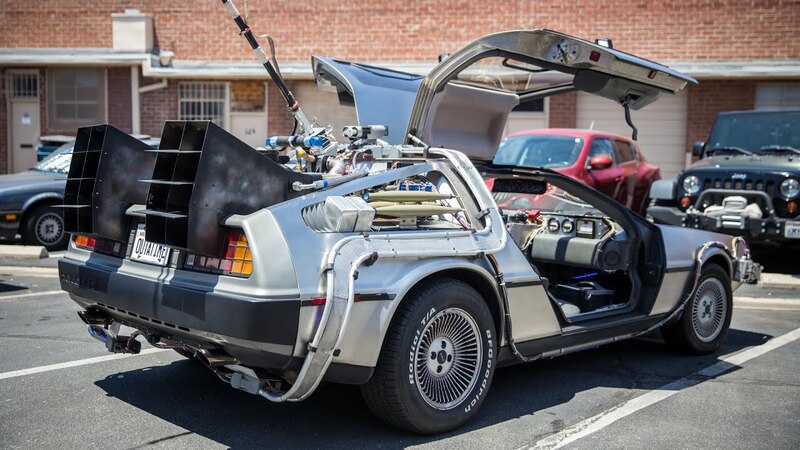 If you’ve seen any of the Back to the Future movies, you will no doubt be aware of the famous DeLorean sports car used by Marty McFly to travel back in time. Despite its iconic status in the world of cinema, the car – and the company that made it – were incredibly short-lived and an unequivocal failure in the automotive industry. How did the DMC start? John DeLorean founded the DeLorean Motor Company in 1975 after leaving General Motors with support from the Bank of America and private investors well known in the entertainment industry, including Sammy Davis Jr. The first factory was built on the outskirts of Belfast, Northern Ireland. The venture was encouraged by the British government as an attempt to create jobs in an area of high unemployment, and it was hoped that this in turn would soothe sectarian violence between unionist and republican factions living nearby. Several delays were caused by going over budget and engineering failures, so the assembly lines did not begin running until 1981 even though they were scheduled to start in 1979. In addition, many of the workers in the factory had never previously worked at all, let alone in car manufacturing. This may have contributed towards the numerous quality and performance problems reported about the car upon its release. In 1981 the first DMC-12s went on sale, marketed as a sleek, modern sports car with gull-winged doors. Why were there problems with sales? The car was hyped as a sports car, but in reality, it took 10.5 seconds to reach 60mph, showing it to be considerably slower than other sports cars on the market. The DMC-12 was also not a very useful car for families, being a two-seater. This meant it could only have been purchased by many people as a second or third ‘luxury car’. The retail price of $25,000 for consumers at the time equates to around $68,000 in today’s money, and during the difficult economic recession of 1981 most people simply did not have the money to afford such a frivolous purchase. Why did the money run out? It is rumoured that the 12 in the name of the car represents the 12,000 units that had to be sold in order to break-even with the startup and manufacturing costs of the company. By late 1981, only 6,000 cars had been sold, leading to major cash flow problems. Larger, more established automotive companies are often able to ride out slowdowns in cash flow, but for a new company like the DMC this was not an option. The DMC appealed to the British government for more financial aid, but Margaret Thatcher ruled out any more dealings with them. What happened to John DeLorean? In 1982, the head of the company was caught out in a sting operation by the FBI to convict him of drug trafficking charges. John DeLorean was accused of attempting to smuggle $24m worth of cocaine into the United States; the key evidence for this being a videotape of a conversation between DeLorean and two undercover agents. Despite DeLorean’s attorney proving his innocence as a victim of coercion by the agents, his name and reputation were forever tarnished. So why did the DMC never recover? • The DMC-12 cars were overhyped and overpriced for the market they were released into. The manufacturing of the cars meant they were difficult to paint, slow to start and unable to contend with other market competitors like Porsche or Corvette. • The poor sales and lack of dependable support from investors meant that just as the company was getting off the ground, it foundered in debt and could not afford to keep manufacturing. Unfavourable exchange rates between the U.S. and Northern Ireland also contributed to the loss of money. • John DeLorean suffered a severe loss of public trust after the FBI sting, even though he was acquitted. He maintained afterwards that the failure of the DMC was a politically motivated setup (possibly by his former employer General Motors), and that at the time of bankruptcy in 1982 the DMC was fully financially viable. For a more in-depth analysis of the DeLorean’s enigmatic story, see Vox’s YouTube video which gives a detailed explanation of all the myths and rumours surrounding the ill-fated company and its founder.